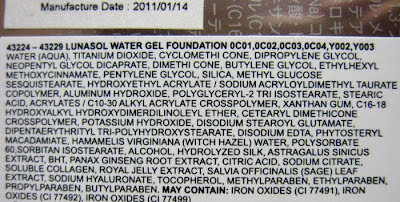 At the recent Metro sale, I also picked up Lunasol Water Gel Foundation SPF25 PA++ (S$77; 30g) in OC1. This was launched earlier this year in March as a lightweight option for spring and summer. Available in six shades, it is made of 65% water and hence has a very light gel texture and is supposed to help make the skin look naturally radiant. It comes in a convenient squeeze tube with a fine nozzle that makes it easy to control the amount dispensed. A sponge is also included. 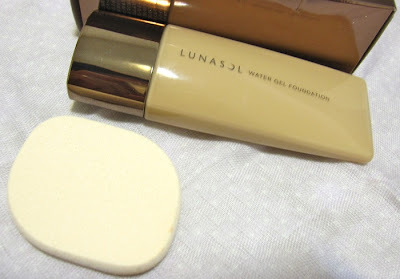 Although I've tried samples of Lunasol's previous foundations before, this is actually my first Lunasol foundation purchase as I was intrigued by the light gel texture that seems to meld onto the skin. It has a slight cooling sensation when applied. Applying it with the included sponge gives a seamless, natural finish. In areas requiring more coverage, it was also easy to layer the foundation without it looking patchy. The shade OC01 was a good fit for my skintone. ("OC" stands for Ochre. 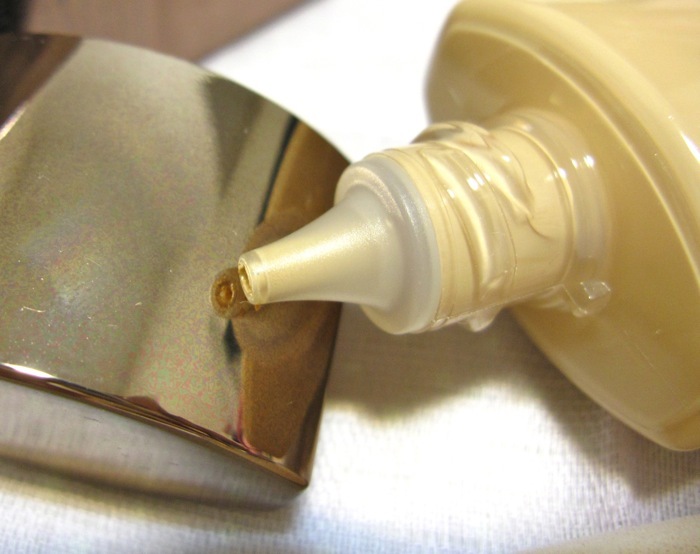 The OC shades are more neutral toned while the Yellow Ochre [YO] shades are more yellow toned.) I was impressed by how extremely lightweight it felt and that it was easy to apply to freshly cleansed skin without the need for a primer, even though I had some areas with slightly flaking skin. The level of coverage is light to medium. It does help to even out my skin tone but it does not completely conceal red blemishes or dark pigmentation. 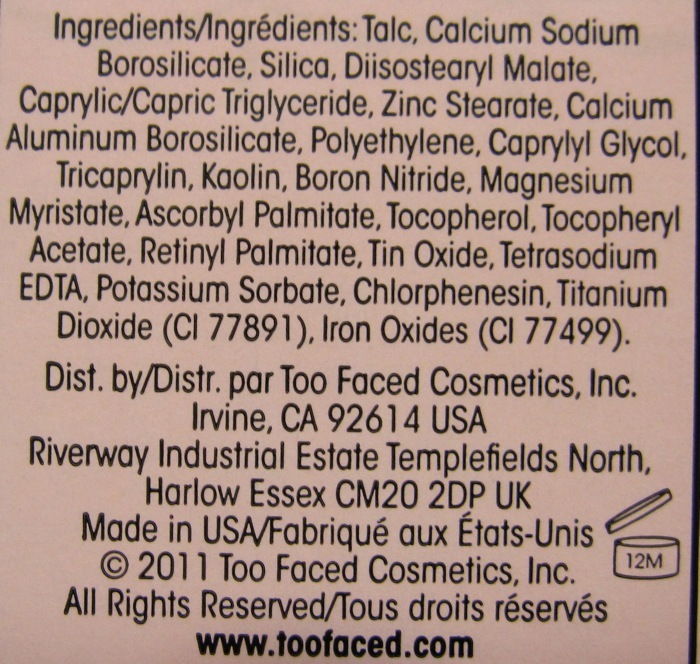 It is not matte but it is also not overly dewy and does not make my skin get excessively oily. I still need to blot every two to three hours, which is normal for me. 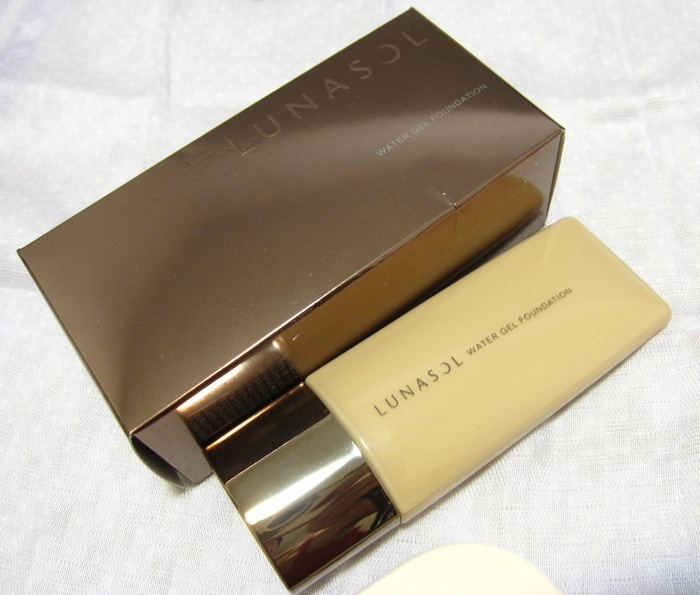 Overall, I think this is a great foundation as it feels so lightweight on the skin and makes the skin look better and healthier, rather than overly made-up. It also lasts very well through the day without oxidising or streaking. 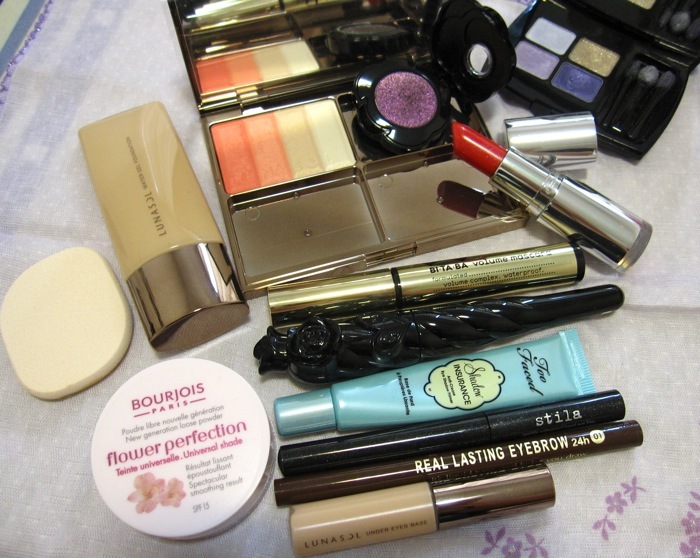 A more affordable alternative with a similar texture and finish is Bourjois Healthy Mix Serum Gel Foundation. The other products used for this look include: Lunasol Modeling Cheeks EX02 Soft Coral and Under Eyes Base N 01 Natural Beige, Bourjois Flower Perfection loose powder, Too Faced Exotic Color Intense Eye Shadow in Poison Orchid and Lancome Ultra-Lavande Cold Harmony palette over Too Faced Shadow Insurance, Stila Sparkle Waterproof Liquid Eye Liner in Sequins, K-Palette Real Lasting Eyebrow 01, Ettusais Bitaba mascara on the top lashes and Anna Sui Perfect Mascara on the lower lashes, and Clarins Joli Rouge Brillant #13 Cherry. 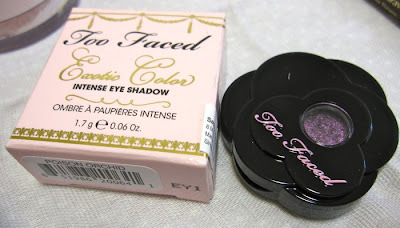 Thanks to Kas' recommendation, I used my Sephora voucher to redeem the Too Faced Poison Orchid eyeshadow (S$30). 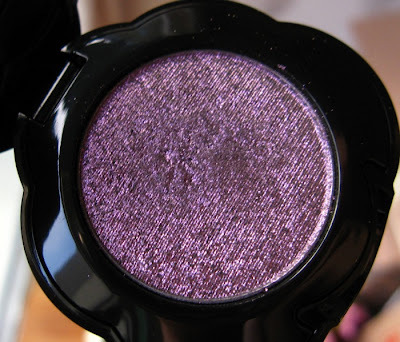 It is a complex rich purple that shimmers beautifully on the skin thanks to the duochrome effect. 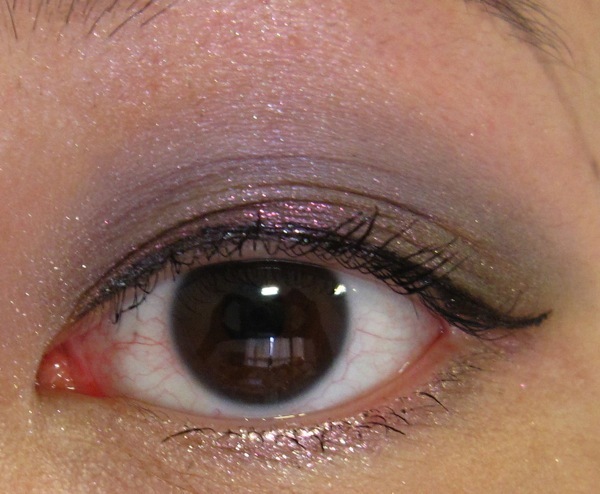 It looks intense in the pot but actually requires a bit of layering for an opaque finish. 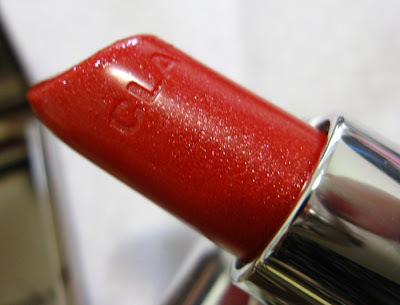 The Clarins Joli Rouge Brillant Cherry lipstick is a present from Mag. It is a cheerful orange-based shimmery red with a wonderfully smooth texture that layers very nicely. Even after six hours of wear, it still felt very comfortable on my lips, although there was a tiny bit of straying beyond the lower lip line. Lunasol has just updated its website with a preview of itsSpring 2012 collection. A lovely look all round! The foundation is a great fit for you, and I love the cherry lips! 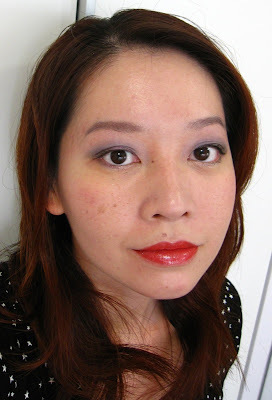 The foundation looks great on you and love your total FOTD! Did you try before laura mercier loose powder or any laura mercier products? 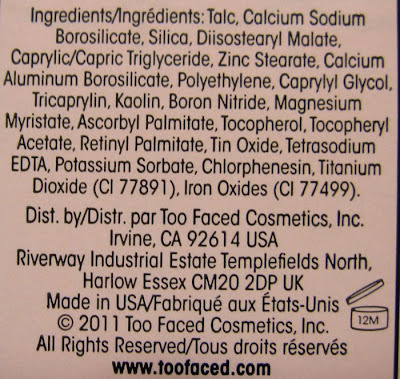 Is lancome teint miracle compact good for combination skin? I haven't tried the Laura Mercier loose powder before. I tried her tinted moisturiser previously but didn't like it. Teint Miracle compact should be suitable for combination skin. I recommend asking the SA to try it on your skin to see how you like the finish and texture first. i'm looking for gold eye shadow because it looks like it's trend now, any brand recommend? 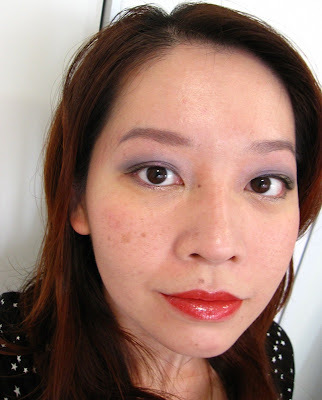 You can try L'Oreal Color Infallible in Goldmine, which was just released in Singapore. It's a beautiful pale gold that isn't too yellow. I'm glad the lipstick works on you. :) I love the scent!